Happy Style Monday! I hope all of my readers have an amazing week. I’m kicking off my week with some style, I’m wearing a black rose print bodysuit paired with burgundy jeans and lace up heels. I hope this inspires you and keep reading for all the deets. Happy Style Monday! Here is my second outfit from my mauve style series. I’m wearing a mauve bodysuit that I purchased from Forever 21 and I paired this bodysuit with a skirt that I bought from DD’s Discounts. To complete my look I’m wearing my favorite lace up heels. I hope this inspires you and keep reading for all the deets. Happy Friday! I hope all of my lovely readers have a fun-filled weekend. I’m heading out to Los Angeles with the fam bam but not before I share my latest style shoot. For today’s outfit it’s all about bright colors-I’m trying to hold on to summer for as long as I can. 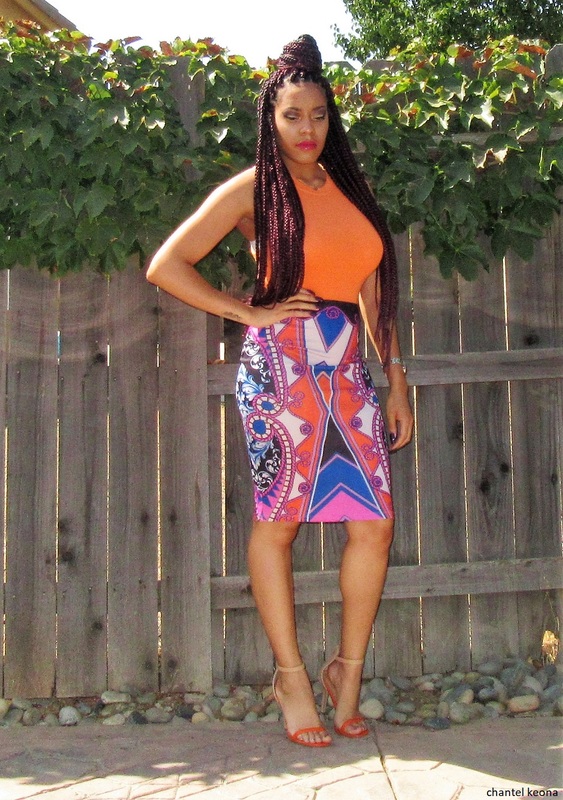 So I’m rocking an orange bodysuit that I purchased from Wet Seal and I paired this bodysuit with a multi-color printed skirt that was gifted to me a few years ago. To complete my look I’m wearing orange and tan heels that I got for a steal at $7.99. I hope this inspires you and keep reading for all the deets.